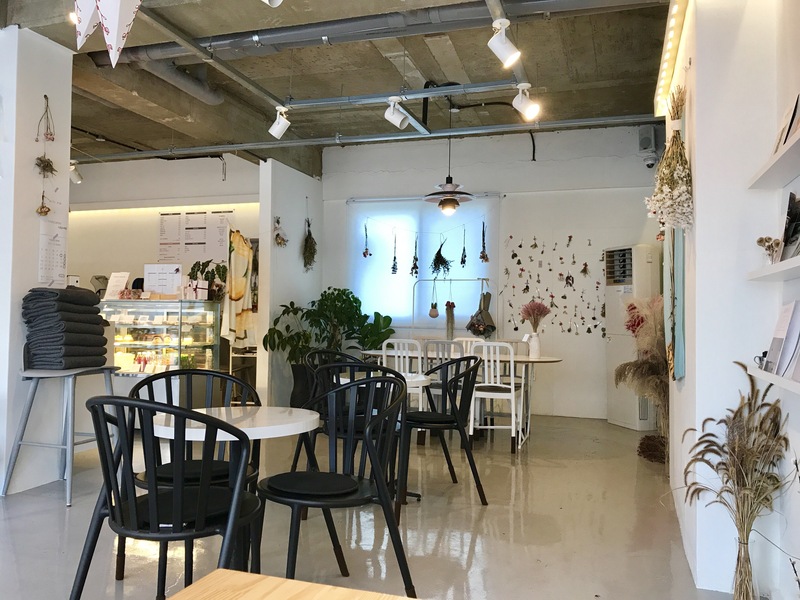 There is a growing indie cafe industry in Korea and I am thoroughly enjoying exploring every. little. one. My city is considered very small and yet it has numerous amazing cafes, all with delicious drinks and incredibly Instagram-worthy aesthetics. 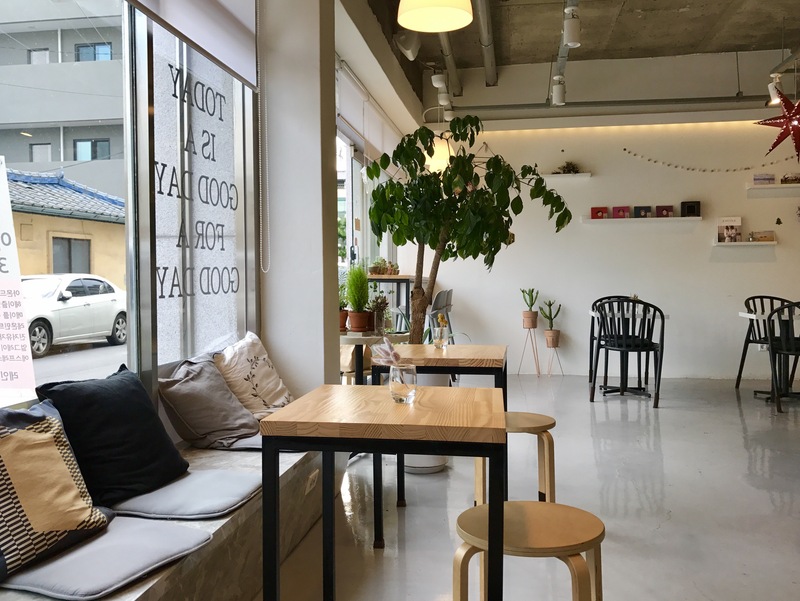 The one catch about Korean style cafes is that they are usually dessert-centric, only serving cake, ice cream, and pastries. 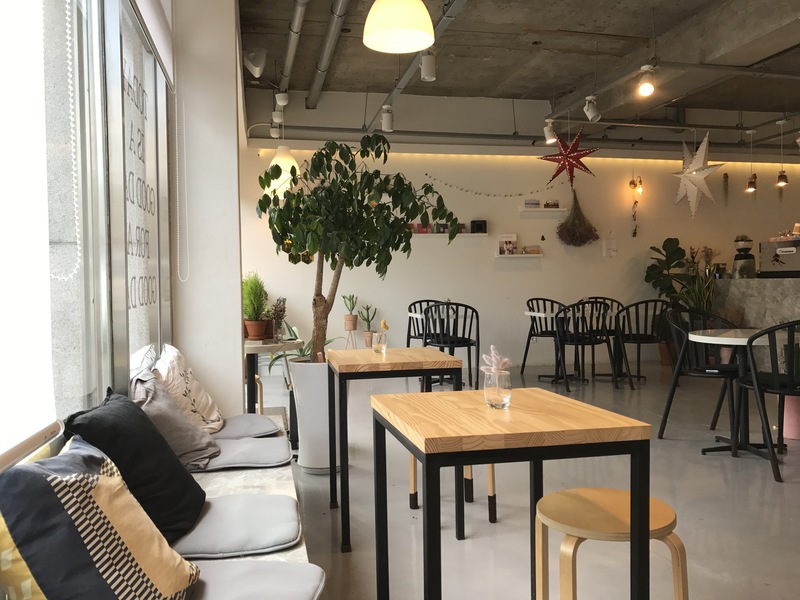 My go-to read and relax cafe, a mere half block from my apartment, is one such cafe, whereas my go-to work cafe offers paninis, a full breakfast, and salad as well as grab-and-go items. Thankfully I have plenty of indie coffee shops to suit any circumstance! Yay, I sat somewhere different! This cafe is a great escape due to it’s relatively remote location, at the lower rightmost corner the the city. I love city in the cafe with the soft patter of rain falling against the wide windows in the background. When the weather graces us with sunshine, I love sitting outside! The hanging basket on the left has vintage coffee bags. Don’t they make you relax just looking at them? The gentle white color schemes and the homey touches as well as the vintage pieces all invibe me with a sense of peace and calm whenever I go. Maybe it’s the general aesthetic or maybe it’s the different childhood memories they each invoke, but regardless, each makes a mean cup of coffee! What is your favorite hideaway cafe and what do you like to do? Comment below and share your story!